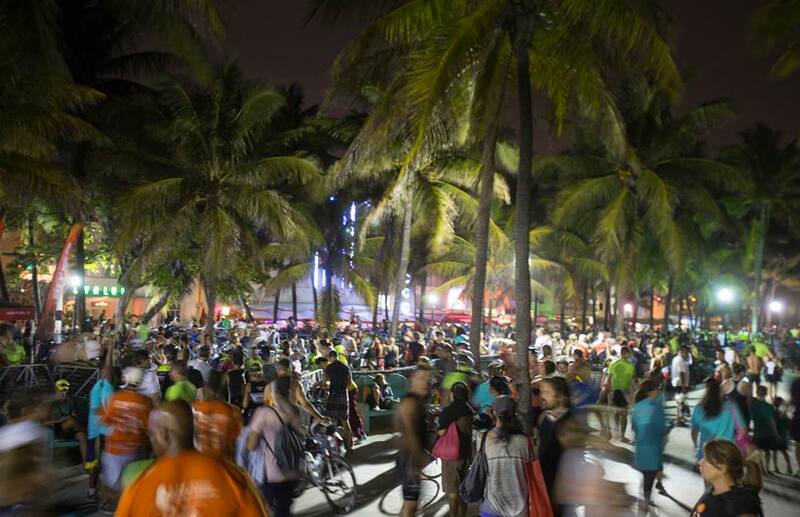 Looking for somewhere to celebrate my 60th birthday, I headed for Miami and the South Beach Triathlon. 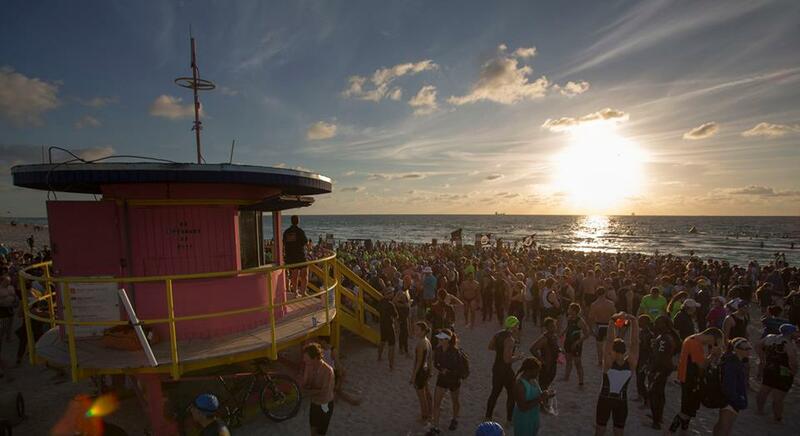 The ocean swim with flat bike and run would hopefully suit my chances of a good performance in my new age group. The transition was a spectacular sight at 6a.m. with the sun yet to break through the palm trees. The sea was rough with waves crashing in. Wearing my new wetsuit legs [26 degrees made it wetsuit optional!] I had to weave through dozens of swimmers from previous waves who were struggling in the conditions. Surfing in on the waves, I arrived at T1 with one other guy from my age group already there. We started the bike together but he pulled away never to be seen again. The windy, hot bike route took in downtown Miami with the only climbs being the causeways which connect the islands. The run took us along the beach promenade with a mile on the sand. With temperatures climbing to 80 the finishing chute was a welcome sight. I was delighted with my age group 2nd place and surprised at clocking the fastest 60+ run split [first time ever-must be the track sessions] As usual American events have great goody bags, expo and post race refreshments.